MO-X3 SKY JAMMER CONCEPTART/SCREEN SHOTS! The MO-X3 is at first glance a very different looking bird! 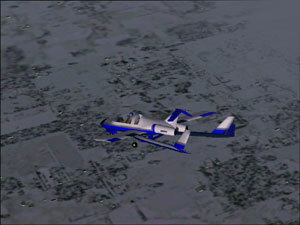 This aircraft is designed to be a very fun and exciting general aviation light jet. The MO-X3 is the only build planned in its category of jets and has definite potential to serve as a multiroled aircraft. 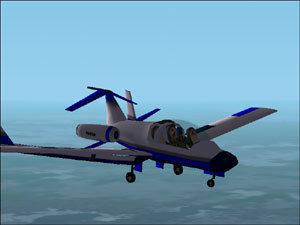 The aircraft came to life in the mind of O. Watson on March 3rd 2001 and has undergone at least ten alterations in design until this design was agreed upon by MoTIS design staff. The MO-X3 was first flown into the record books by Matt Magee on 11/4/2002 and has undergone major changes to its performance characters and its flight dynamics. 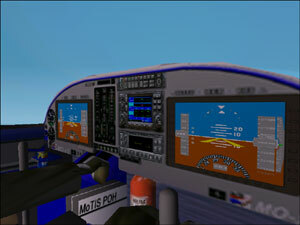 This aircraft is one of the first fly by wire virtual general aviation jets on the market and it is a pleasure to fly. Copyright (C) 2002, 2003 by MoTIS INDUSTRIES. All rights reserved.